Kai A Pineda is a wife, pastor, singer, ministry leader, and youth speaker. She shares her story of learning to follow the direction of God in her life, allowing Him to guide her to create something far greater than what she had in mind. Kai tells of growing up in a home in filled with all different kinds of music – from Bach to Billie Holliday to LL Cool J – and writing her first song at the age of 12. She tells of seeking out her dream of Grammy’s and fame in New York with associates like a little group known as Destiny’s Child, to becoming a part of a gospel singing group in Germany, to knowing that God was calling her to preach and be a pastor. 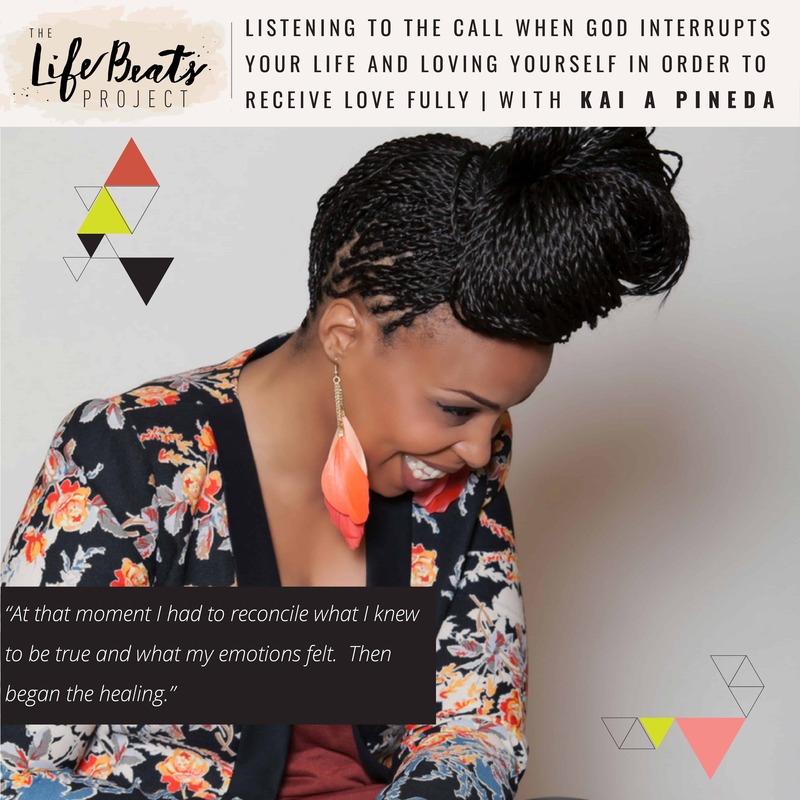 Kai shares her journey of coming back to her relationship to God and coming to know her purpose despite her 30 year struggle with low self-esteem as well as dealing with the loss of her husband which brought out feelings of anger toward God she had to overcome. Kai shares how until she finally loved herself, she wasn’t able to truly give or receive love. Kai tells how love found her through her current husband and the joy she now feels having found her purpose in sharing God’s love for others through preaching His word and the stronghold He must have in our thoughts. She finishes off with singing one of my favorite songs from her new album Unshakeable called “To You Who Are Faithful”. Listen and be ready to laugh alongside us and be inspired to live your life’s purpose no matter where it takes you. Want to know if this episode it for you? This episode is perfect for someone who is looking to feel God’s love and purpose in their life and are willing to let Him guide their life. This episode is also perfect for someone who has struggled with long-term low self-esteem and who is ready to finally feel the depth of relationships they desire. We were recently on a vacation when God interrupted my plans. My family and I had traveled hundreds of miles to stay at a hotel on the beach. I had made arrangements to spend one day visiting with friends. But then, in the middle of the night, the night before my scheduled day out, one of my kids woke up sick. I spent the whole next day stuck inside, staring out the hotel window at the long stretch of beach that was just outside of my reach. Thank you so much for sharing this story! Oh that is so bittersweet! As mothers we definitely learn sacrifice, which if we let it, can bring us closer to God. What a wonderful mother you are!